Ford Motor Co. is recalling nearly 1.4 million Ford Fusion and Lincoln MKZ sedans, including 62,479 in Canada, because loose bolts could allow the steering wheel to come off. The automaker said it knows of two accidents and one injury linked to the problem, which U.S. federal regulators began investigating in October. Ford said the steering wheel bolt can loosen over time, resulting in detachment of the wheel and a loss of steering control. It's the second time in the last month that an automaker has had to initiate a recall for steering wheels that can fall off. Hyundai recalled some of its Santa Fe and Santa Fe Sport crossovers in late February, saying the steering wheel assembly could break. The automaker recalled 44,000 in the United States and Hyundai Canada recalled 8,456 of the utility vehicles. Separately, Ford said Wednesday that it would recall about 6,000 cars for potential clutch plate fractures that could increase the chance of a fire. 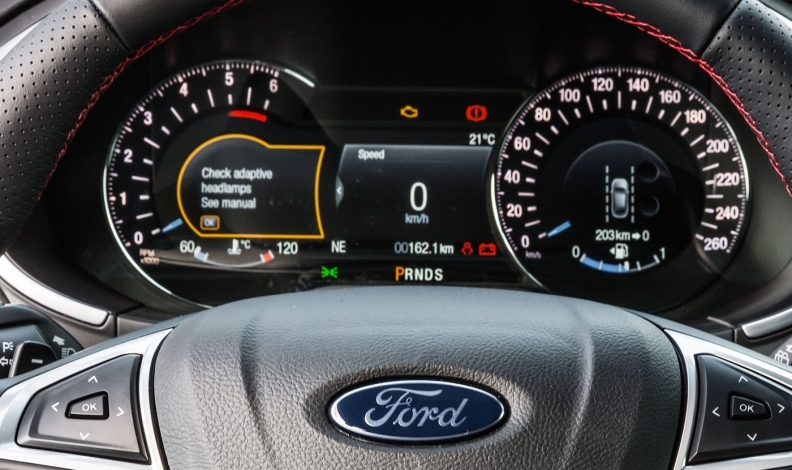 That recall covers the 2013-16 Ford Focus with a 1.0-litre Fox GTDI engine and B6 manual transmission and the 2013-15 Ford Fusion with a 1.6-litre GTDI engine and B6 manual transmission.